The Classic Series Material is the most popular in the Industry. It combines the strength and waterproof qualities of PVC with the durability of a polyester backing. 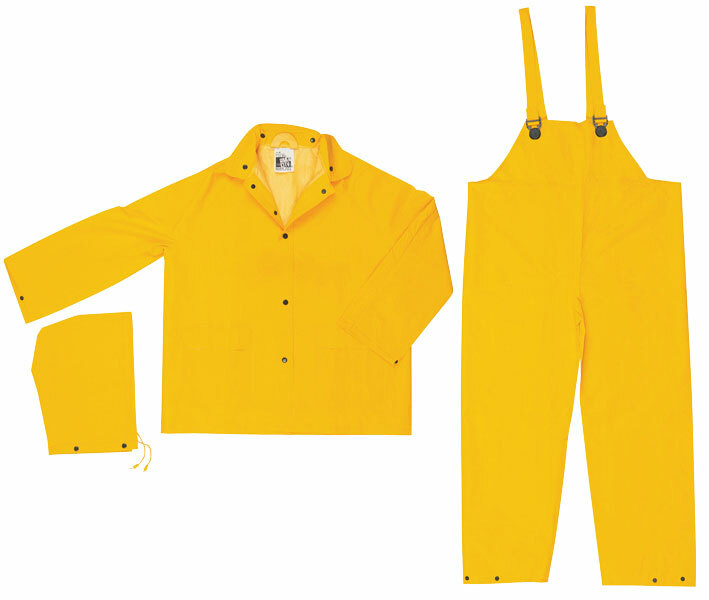 The 2003F yellow three pc suit features a jacket with detachable hood and bib style pants. The jacket offers a snap front, take up snaps at the wrists, detachable hood with drawstring, and two front patch pockets. Bib pants feature a plain front and take up snaps at the waist and ankles. Come back to the Classics for your protective wear needs.